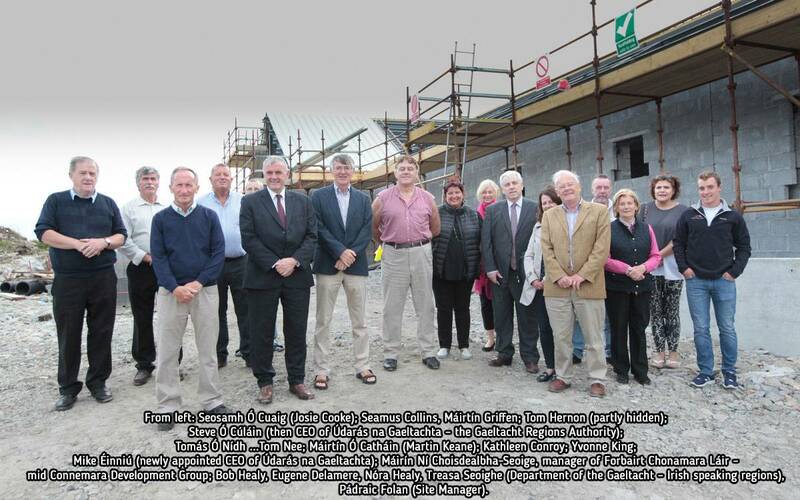 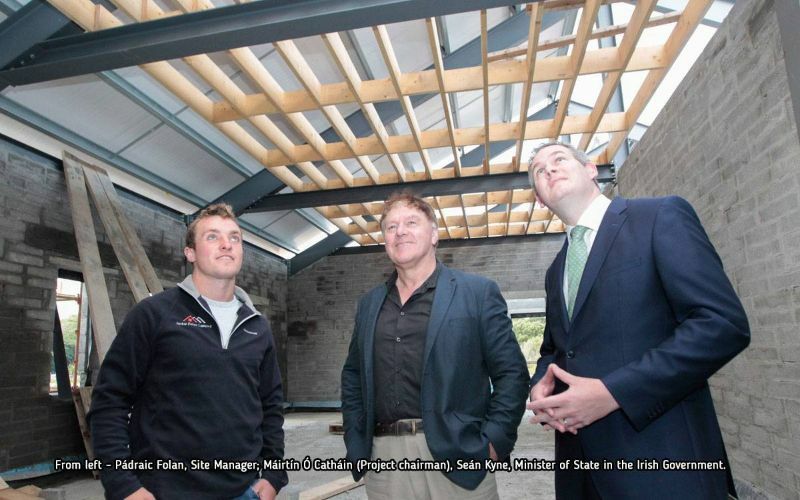 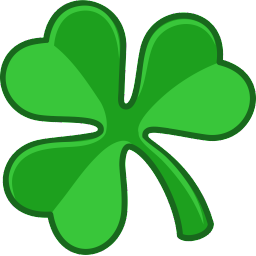 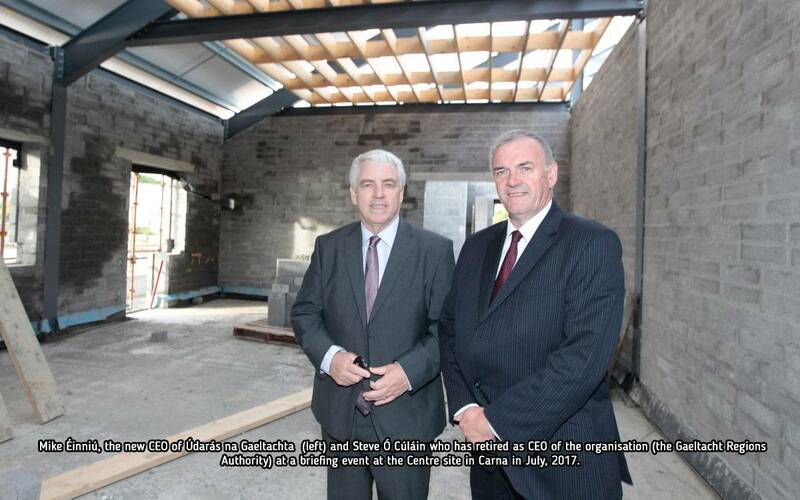 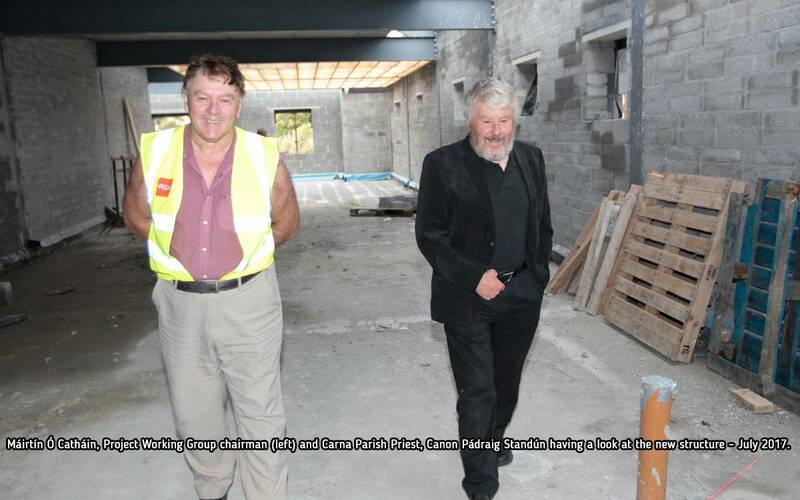 Welcome to The Emigration and Diaspora Centre Project – Carna, Connemara. 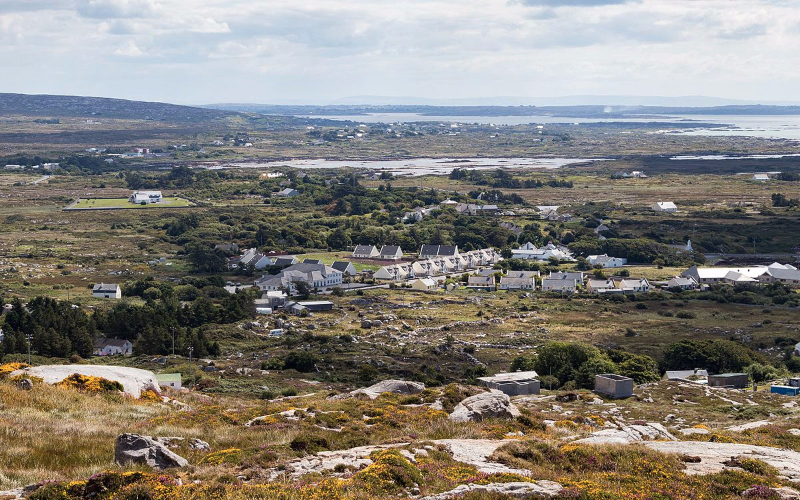 This is the story of Connemara and emigration. 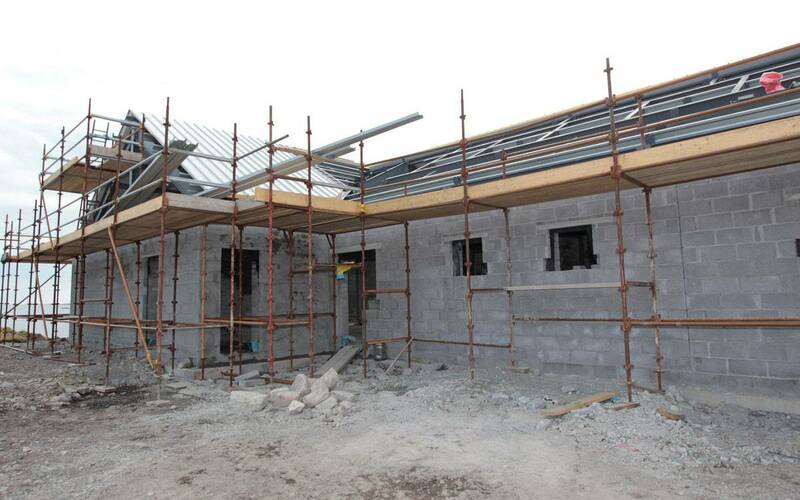 Looking at progress on the roofing at the Centre recently. 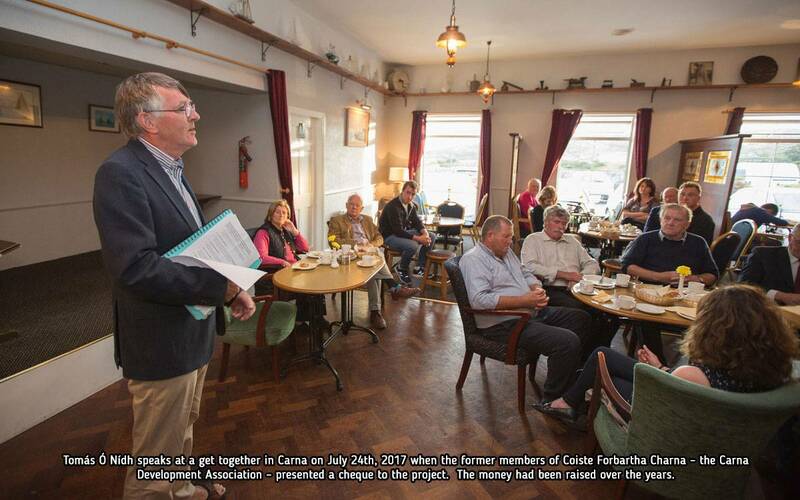 At a get together of committee members and State officials on the Centre site in July. 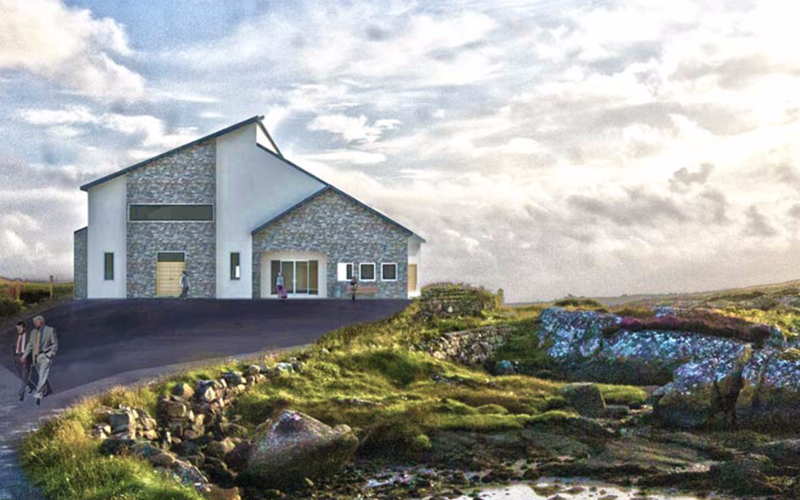 The Connemara Emigrants Commemorative Centre in Carna.